We’ve just celebrated the Winter Solstice, the shortest day of the year. With fewer hours of daylight, many of you have said that it seems harder to get out of bed in the morning. Some people miss the sunlight and find that they feel a bit flat at this time of year, while others relish the opportunity to “cosy up” indoors. One of my favourite things about Yoga is that it can provide whatever we need. If you find that the shorter, colder days have been leaving you feeling flat, you might benefit from including Sun Salutations in your practice. They’re traditionally done before or during sunrise, and when practised early are certainly very effective in lifting your energy for the day. However they can be practised at any time. If you’re feeling stiff or have just arisen, it’s best to warm up with some simple arm raises (either lying or standing) and some of your other favourite warm-ups from class. 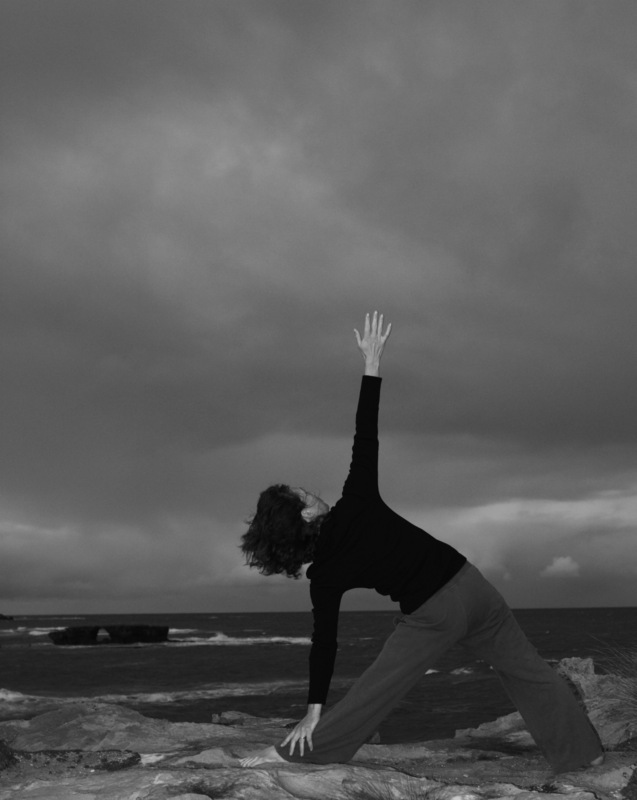 Try a couple of slow-motion salutations first, and then move more swiftly and deeply into the poses as you feel ready. 12 repetitions with both sides is a traditional number, but if you’re new to a daily practice of Salutes, start with 2 or 3 and build up slowly. It is a surprisingly powerful practice that works on many levels and really gets stagnant energy moving. Mountain Brook Pose: Fold a blanket into a column and place width-ways on your mat. Lie with your shoulder blades/back of chest lifted by the blanket column. Ensure that your arms and shoulders rest along the floor above the blanket column, arms out at shoulder height. Support your head as necessary with a folded blanket. A bolster can be placed under the knees, with the heels resting on the floor. Supta Baddhakonasana: Place a bolster lengthways along your mat. Sit on the floor in front of the end of the bolster. Place the soles of your feet together, knees falling out to the sides toward the floor. Lie your spine back along the bolster. You can support your knees and outer thighs with rolled blankets. Support your head with a blanket fold. Lying on a spinal “noodle”: Roll a blanket into a thin cylinder that is at least the length of your spine. Lie your spine along the length of the cylinder, letting the feet roll out to the side. Support your head with a blanket if necessary. Let the tips of your shoulders drop toward the floor either side of the cylinder. Stay in these poses for ten minutes at a time, observing your breath. (Note that these yoga practices should not replace any existing treatment for depression, just complement it). We often do these asanas in class, and there are many others. I’m more than happy to show them to you after class, or to take requests for them before class. The book “Relax and Renew” by Judith Lasater is an invaluable resource for these and other restorative poses. For those who love this time of year, you can feel even more in tune with the season by taking the opportunity to slow down and reflect. You might enjoy a Jyoti meditation practice: sit in your usual meditation position (in a good posture) with a lit candle in front of you that has a steady, straight flame. Gaze at the flame steadily for some time, and then closing your eyes imagine that you internalize the flame between your eyebrows. Let it move down into the heart centre in the middle of your chest, and let its warmth and illuminative quality spread through your entire being. Alternatively, lie in a restorative pose, let your breathing slow down and then practice visualizing the Jyoti – it represents the eternal inner light within each of us that remains steady and unwavering through all the seasons and changes of life.